As one of the India's largest, private women’s hospital, the Mayflower Women’s Hospital is committed to excellence in healthcare for women. An excellent healthcare system, a vast pool of competent medical professionals, and the availability of state-of-the-art diagnostic and treatment facilities are all factors which have made Mayflower the pre-eminent centre for women’s healthcare in this part of the world. 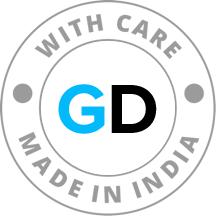 Patients receive the most advanced treatment delivered by the region’s leading medical professionals. Each passing month, an increasing number of women come to Mayflower for a whole range of maternity and gynaecological treatment. And all of them share a common confidence in a system that emphasises safety and pushes the boundaries of excellence. This combination of excellent clinical expertise and infrastructure has earned Mayflower the status of a recognised centre for advanced gynaecological endoscopic surgeries by FOGSI (Federation of Obstetricians & Gynaecological Society of India) and Karl Storz (Germany). 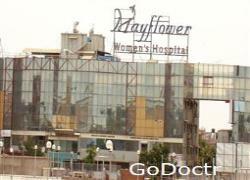 Mayflower attracts many gynaecologists from India & other parts of the world to come for seminars & workshops. The regular exchange of knowledge ensures that Mayflower’s medical professionals stay at the forefront of healthcare developments. • We recognise and affirm the unique and intrinsic value of each woman. • We treat all those we serve with compassion and kindness. 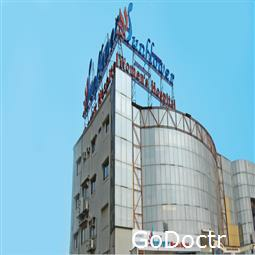 • We act with honesty, integrity and fairness in the way we conduct our medical practice and in our personal behaviour. • We trust our colleagues as valuable members of our healthcare team and pledge to treat each other with loyalty, respect and dignity.